NYSE Euronext and Deutsche Boerse just agreed to a merger deal, according to CNBC.The deal values the NYSE at $39 a share, which is a 10% premium. The deal will see the company owned 60% by Deutsche Boerse shareholders, and 40% by NYSE Euronext shareholders, according to the release. 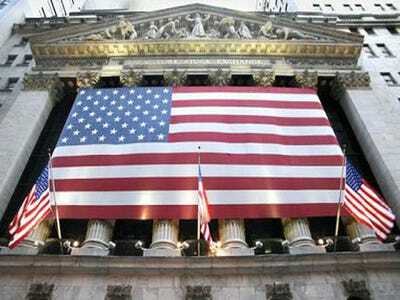 The board will be made up of 9 Deutsche Boerse members and 6 NYSE Euronext members. There will also be a CEO and a Chairman. The first Chairman will be Deutsche Boerse’s Reto Francioni. The first CEO will be the NYSE Euronext’s Duncan Niederauer. Earlier reports indicated that the combined entity would have a board made up mostly of Deutsche Boerse chairmen, with a total of 17 members. The point of the merger is to bring together the two trading platforms, with an emphasis on derivatives markets. The entity’s shares will be traded in Frankfurt, Paris, and New York, and based in a holding company in the Netherlands.